PREMUIM SEAT: Heavily bolstered cushions provide all day comfort for the operator. The two tone vinyl covers are replaceable in the event of damage. HEAVY DUTY FABRICATED CUTTING DECK: A deep draw deck, heavy duty cutting blades and an efficient flow design allow for rapid cut speeds with a high quality finish. HYDROGEAR ZT4400 TRANSMISSIONS: Heavy duty integrated commercial transmissions that improve the operators control while reducing noise and vibration. Front - 13 x 6-6.5 in. Length Base machine - 81 in. 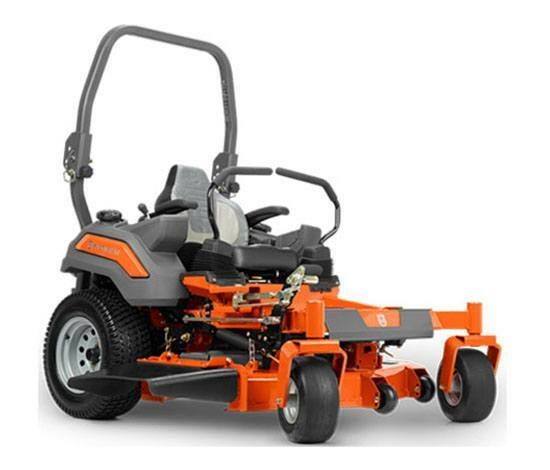 Mowing Height Range 1 - 5 in. Fuel Tank Capacity 12 gal.